Reporter John Stossel did a television special called “Freeloaders” in March of 2011, in which he dressed up like a homeless man and panhandled for change for an hour. He concluded that – if he’d tried for eight hours a day – he could make $90 a day and $23,000 a year. Trouble is, not a lot of people panhandle eight hours a day, five days a week. In an episode of the Fox Business Network program “Stossel” which originally aired on May 12th, 2011, John Stossel spoke with Steven Malanga and Heather MacDonald of the conservative Manhattan Institute. Malanga pointed out that some panhandlers are not actually homeless. MacDonald claimed that the kids whom she studied in San Francisco are able-bodied and of full mental capacity, that they should be working, and that they voluntarily choose not to work. I admit that that it is often true that people who panhandle could be working but voluntarily choose not to. I would even agree with the late economist Milton Friedman that unemployment is often – although Friedman said “always” – voluntary in a free society, because individuals hold their own personal, subjective moral standards which keep them from obtaining the types of employment which are most readily available, achievable, and maintainable. Stossel and MacDonald characterized kids who panhandle as having a sense of entitlement, and MacDonald even went so far as to say that the kids “think it’s cool to ask other people to give them money”, and that the modern acceptability of panhandling is partly the result of the “welfare rights movement of the 1960’s”. MacDonald said that the kids typically think, “you have more money than I do, so therefore, we’re going to tip the field, and I deserve it”. Malanga said, “we have a whole array of social services in many cities to address the needs of precisely those people, and we have additional charities in addition to government that does that, and, in fact, many charities will tell you, ‘don’t give to the homeless on the street, because you don’t even know how they’re using the money”. When I think about people who feel that they are entitled to or deserving of something owned by another person, I think about people who tend not to ask for it, but rather to steal it. Or – instead – they simply vote that such money owned by rich people be spent on government social services. That – to me – is the true legacy of the welfare rights movement of the 1960s; not panhandling. That’s what I would call "tipping the field"; as opposed to putting yourself in a vulnerable position in which you depend on the kindness of random strangers, rather than on the availability, abundance, and alleged ubiquitousness of bureaucratized social welfare and service facilities. As long as kids and older panhandlers – whether they have homes or do not - are not threatening or using violence in the process of trying to obtain money, they should have the full right to ask other people to voluntarily give them money without fear of being ticketed on the grounds of exaggerated claims of menacing or aggressive panhandling by police officers. I know someone who was ticketed for menacing panhandling for asking his friend for a cigarette. The officer who gave him the ticket apparently assumed that that friend was an average, upstanding consumer-citizen who considered being asked to voluntarily give something as an affront to his personal freedom. There is little sense of real entitlement here in the realm of private, face-to-face, voluntary charity. The real sense of entitlement lies in the realm of public charity – i.e., the charity created by the state – which uses force to expropriate funds from mostly-rich taxpayers and give them to social welfare and service facilities. Such facilities are not always open, readily accessible, well-staffed, well-funded, well-stocked, or well-known to the local homeless population, and they typically skim quite a bit of money off the top in order to provide livings for the people whom they employ. Individuals who may be willing to give spare change – on the other hand – are almost always accessible. So why not tolerate – or even encourage – face-to-face private charity? Why make homeless people (or poor people with homes) – whom are often unemployed, alcoholics, illicit drug users, mentally disabled, and / or mentally deranged – dependent upon the government for help? Why make them worry about being ticketed or run off by the cops? Stossel didn’t seem to even remotely skirt the idea that if a person tried to spange – that is, ask for spare change – for forty hours a week, they’d be exposed to the risk of criminal prosecution and fines. MacDonald said that giving homeless people money "perpetuates their condition", enabling them to keep living on the street and avoiding the treatment they need, dragging down cities with urban squalor, and increasing the risk of violent behavior in mentally-disturbed individuals who panhandle. 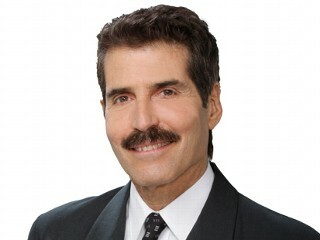 Stossel and his guests ignored any semblance of an idea that many of these people who have addictions and mental health problems – through the fault of whomever – need treatment which all too often involves means of aggressive physical restraint – and / or improper and / or excessive medication of addicted individuals – awareness and / or experience of which can very well give addicts more of a reason to stay on the streets, having scared them off of traditional approaches to confronting their addictions and mental health problems. It should go without saying at this point in history that addiction is not a criminal issue, but rather a public health and mental health issue which should not and cannot be solved with further social ostracism, violent repression, and criminal sanction. Many panhandlers simply do not have it together enough to get a job – much less maintain one – and many young panhandlers are simply too young to decide what they want to do for a living and would like to spend some time traveling and enjoying themselves without hurting others in the process. This brand of “libertarian conservatism" literally discourages private charity from one individual to another; it leads Stossel and MacDonald to agree that – rather than to give to panhandlers – people should instead simply "walk on by". It is a brand of “libertarianism” that is akin to Ayn Rand’s Objectivist philosophy – which simply discourages both publicly-funded charity and panhandling as freeloading, while denying the existence of altruism and encouraging individuals to be more rationally self-interested. To paraphrase public intellectual and noted atheist Christopher Hitchens in his criticism of Ayn Rand, selfishness is the one thing in this world that does not need to be encouraged. As an alternative to this system of radical conservative thought, we should encourage a system that I would term “progressivistic libertarianism” which – as a viable alternative to publicly-funded charity – encourages compassion to those less fortunate through private voluntary charity which bypasses and de-necessitates insufficient, inefficient, wasteful, improperly-staffed bureaucratic government social welfare services, specifically because such the facilities which provide such services act as a middle-man, creating the waste and inefficiency which end up costing taxpayers more money than they would spend providing more direct relief to the individuals who ask of them. Is it too much to ask that this society allow its youngest, its least-skilled, and its most disadvantaged an opportunity to discover whether this society – which requires them to jump through hoops and fill out paperwork to get what they need – is indeed worth living in to begin with? Is it too much to ask that we should permit such individuals a chance to decide whether to live off of either the product of their own labor, off of the kindness of others, or off of whatever they can rob from others, according to their own perception of how much charity and free giving they are afforded by the remainder of society? Besides, what do you do with a person who consistently steals because he feels that society does not lend him enough of a helping hand? The mainstream apparently feels that the appropriate response is to remove him from society, thus relieving society of the burden of having to take care of him. But how do you do that? By defending our property against those who would take it, including – if necessary – by killing them? Perish the thought; to do this would relieve thieves of their suffering. Thus, such thieves would evade punishment, which is more lenient than affecting the retribution which they deserve for their crimes. So, then, how may we punish thieves? By jailing them and providing for their needs for the rest of their lives? Perish the thought; some homeless people would rather be in jail – where they at least have temporary guaranteed food and shelter – than on the street. Certainly that approach is just as lenient as death, not to mention more expensive and burdensome on society. So what’s the verdict? Is justice good, or is it nothing more than a necessary evil? It seems that this question has gone unanswered for two-and-a-half millennia. But however you feel about justice and about panhandling, you certainly can’t say of the government, “Maybe if you give them enough, they won’t steal it from you."